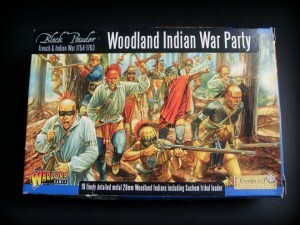 Miniwojna continues our Warlord Games theme day with a review of their Woodland Indian Party. This is a review of "Woodland Indian War Party" boxed set published by Warlord Games and containing Conquest Miniatures' figures suitable for recreating skirmishes from French-Indian War. Many photos of miniatures from this box inside.